A mobility aid in a league all of its own, this walker comes highly recommended by those who seek strength, support, durability and comfort, all mixed with a touch of class. With the Four Wheel Rollator Walker as your travel companion, there is no need to overstretch yourself, because this rollator doubles as a comfortable and welcomed chair, giving you an opportunity to rest and refresh yourself anywhere and at any time. 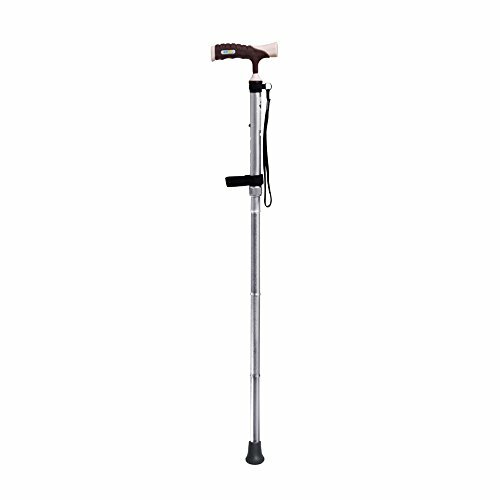 Features: Retractable, four-legged, peace of mind to the pole, folded,Safety non-slip, stable, with handrails, thickening frame, easy folding, detachable, adjustable height, anti-rust antibacterial. For people: arthritis, lumbar muscle strain, knee injury, joint pain, mobility, sports injuries. Material: aluminum alloy, height: 83 - 93 cm(adjustable); Load: 100kg. Features: ,Retractable, four-legged, peace of mind to the pole, folded,Safety non-slip, stable, with handrails, thickening frame, easy folding, detachable, adjustable height, anti-rust antibacterial. If you have any questions about this product by WURE, contact us by completing and submitting the form below. If you are looking for a specif part number, please include it with your message.